An approximately 1500-year-old Bible was found in Turkey has left the Vatican in shock because it allegedly confirms that Jesus Christ wasn’t crucified. 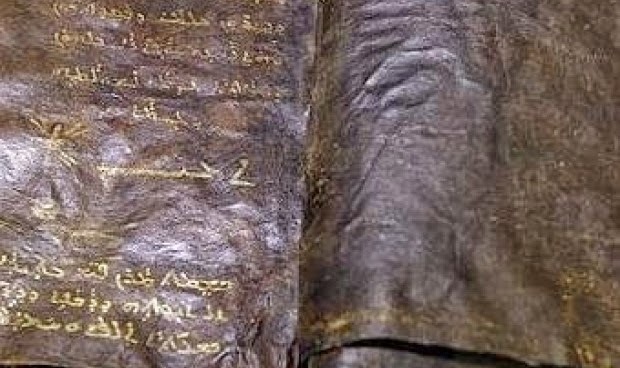 The Bible was seized from a gang of smugglers in a Mediterranean- area operation. The report states the gang was charged with smuggling antiquities, illegal excavations, and the possession of explosives. The books itself is valued as high as 40 Million Turkish Liras (approx. 28 million Dollars). The Bible, which was discovered in 2000 and kept in secret in Ankara’s Ethnography Museum, contains the gospel of Jesus’ disciple Barnabas. According to the Real Pharmacy, The gospel claims that Christ was neither crucified nor was he God’s son. Instead, it says he was just a prophet. The book also refers to Apostle Paul as “The Impostor” and further claims that Christ ascended back to heaven alive, with Judas Iscariot being crucified in his place. Interestingly, the book itself is written with gold lettering, onto loosely-tied leather in Aramaic, the language of Jesus Christ. Moreover, experts and religious authorities in Tehran insist that the book is original. Although several Bibles have surfaced over the recent past, including the Dead Sea and Gnostic Gospel, this latest one appears to be a big worry to the Vatican, especially because of its claims about Jesus. The Vatican has requested Turkish authorities to allow them to examine the book’s contents. Obviously, It, no doubt, brings to question the authenticity of the Christian gospel.